Why do you need to take folic acid when pregnant? It is really important to take folic acid if you are planning on getting pregnant. So you’ve started to think about trying for a baby, congratulations, what an exciting time! Good nutrition is important for everyone, but particularly important for pregnant women for healthy growth and development of their baby. It is important to get enough nutrients and vitamins before conception and during pregnancy. Folic acid supplements are recommended for women who are planning to become pregnant, could become pregnant or are pregnant. Folic acid is the man-made form of the B vitiamin folate. Folic acid is added to some foods and can also be found in supplements. 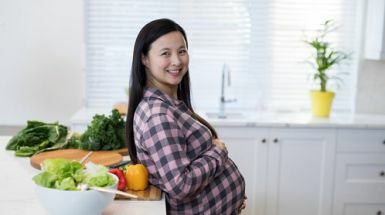 If you are planning on getting pregnant or are in the early stages of pregnancy, it’s best to take a daily folic acid supplement, as well as eat high-folate foods. Folate is found naturally in food like leafy green vegetables, citrus fruit, legumes and nuts. Folate is water-soluble and is easily destroyed by cooking. Folic acid is vital for healthy bodily growth and development in everyone and is especially important for pregnant women. Your body uses folic acid to make DNA. If you’re pregnant, folic acid is needed to help the development of your baby’s nervous system and neural tube early in pregnancy. What is a neural tube? The neural tube is one of the first things your baby will grow. It will become your baby’s brain and spinal cord and the bones that enclose them. The neural tube is formed in the first four to six weeks of pregnancy. A neural tube defect can happen when something goes wrong in the development of a baby’s neural tube. This can cause a range of disabilities including loss of bladder and bowel control, and paralysis of the legs. In some cases, the effects can be more severe. Spina bifida is a neural tube birth defect that occurs when a baby’s spine and spinal cord don’t form properly. It is unclear what causes spina bifida but it can be linked to a combination of genetic and environmental risk factors, for example a family history of neural tube defects and folate deficiency. Signs and symptoms of spina bifida vary by type and severity and can also differ per person. Most spina bifida cases are detected with an ultrasound scan around 18 weeks of pregnancy. Can I prevent my baby getting spina bifida? The best way to reduce the risk of your baby developing a neural tube defect is to take daily folic acid supplements from 12 weeks before conception until at least 12 weeks of pregnancy. Researach shows that taking a daily folic acid supplement of 400 micrograms reduces the risk of your baby developing spina bidifa and similar birth defects by up to 70%. Why do I need to take folic acid when pregnant? When you’re pregnant you need more folic acid to help your baby grow. Adding a folic acid supplement to your diet when pregnant reduces the risk of your baby being born with a neural tube defect. You should take a supplement with 400 micrograms of folic acid per day from 12 weeks before you become pregnant through to the first 12 weeks of pregnancy. Folic acid supplements are available over the counter from pharmacies at varying doses. Look for supplements that contain at least 400 micrograms of folic acid. Multi-vitamin supplements generally contain less. It is also important to eat healthy foods that contain folate including green leafy vegetables, broccoli, oranges, avocado, or fortified breads and cereals. You can read more about what foods to eat when pregnant here. You should talk to your doctor, pharmacist or a dietitian before starting to take any new supplements. Are there risks from taking folic acid? Generally when taken orally, and at appropriate doses, folic acid is safe. If you take too much folic acid your body gets rid of any excess in your urine. If you think you are having a severe allergic reaction call 000 immediately. If you have any other symptoms suggesting an allergic reaction or concerns about allergies please contact one of our Registered Nurses at 13 HEALTH by phoning 13 43 25 84. 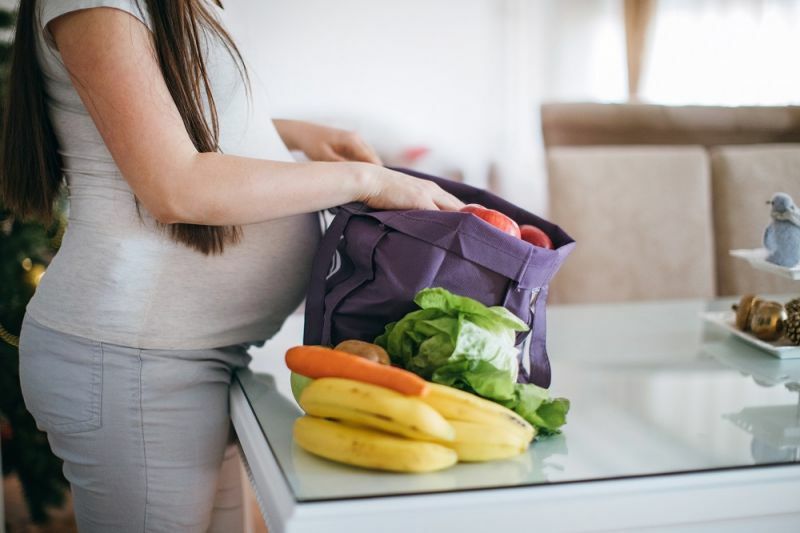 It is recommended that women of child-bearing age, even those who are not planning to have a baby take folic acid supplements, as half of all pregnancies are unplanned. A baby’s growth is the most rapid in the first weeks of life – often before you are aware you are pregnant.